On a robot energy regen, meg generate energy insanely fast. Looks very difficult in either case. I know rino can handle it with power lock but even then, the rating disparity still makes it a bit difficult unless you absolutely max out everything on rino. 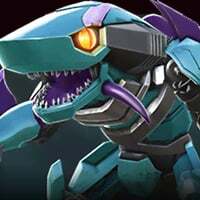 Btw, if the rating disparity is on a equal basis like 4000 vs 4000 or 11000 vs 11000, I am sure rino can beat megatronus on a robot regen with 90% hp left no problem. Prowl can keep up with his by using sp1s as well. Or you could use someone with heavy DOTs and try to end the fight quickly. Shocky but you have to be aggressive in order to bait him into shooting ranged at you so you can absorb and drain his power. Need 5 stacks or more to stop the power meter. My upduped unsignatures 4000 prowl get instantly owned by 6000 meg. 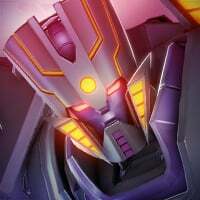 You have to learn how to dodge or bait Megatronus specials or his fighting pattern. Regardless of who you use, you will have a difficult time so it's best to figure out how to fight him better. Dodging only works if he fires specials. I have lost bots trying to bait him, so now I just go super aggressive and try to take away as much health as possible. They should really update RR mod description to say "bots are 100% less likely to fire specials on this mod"
But if you do that, he will have 3 bars and ult you. What I do is to death rush him always, same as u.
I simply assume I'm going to lose a bot to him. He's broken, laughably so, but at least raids are hard again? So, if you can, use a Nanojack (Nano-repair Wheeljack). Maxed out, awakened, high forge 4* is who i use, even though I have other 5* Rank 4 bots. Nanojack shields at 75, 50, 25, heals sometimes to allow another shield at one of those numbers. Depending on which buff he gets, his power gain, heal, or additional defense to help him out. He also power drains, stuns, and power locks (not sure about this one). I only bring him for Robot Resource Megatronus, win about 80-90% of the time. Play super aggressive, and combo up, using special 1 and 2s if you want to get the buffs, and a special 3 if you don't need the buffs and want to heal to one of those shield levels. Bludgeon is really good against him too. Crazy high damage, good bleeds and a fairly decent amount of stuns from heavies. Plus, he can tank (yes, pun intended) a few of Megatronus' SP2 and SP3 before losing if he has to. Lots of other good options too. Megatronus is more irritating than anything else. Insane? Not by a long shot. Kickback and ninja playstyle. The solution to all of life's problems. Just bring a mirage, since most of his specials involve ranged attacks. I definitely agree that something is overpowered about robotronus AI. I autofight raids when I’m driving and robotronus forces me to manual fight which of cos I’d rather lose the raid. 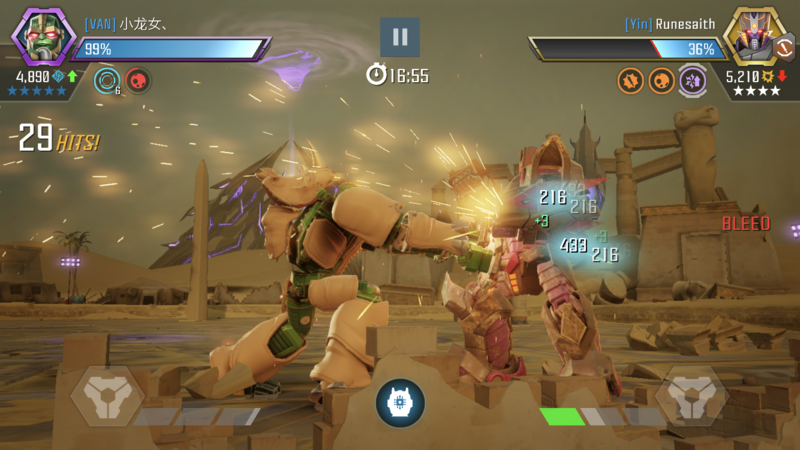 It’s ridiculous when 4K robotronus can wipe out 3 bots averaging 7k each. Your car's autodrive feature is unlocked at vip6.